100 % sustainably farmed in Castelvetrano, Sicily, grown on the Asaro Family Farms. 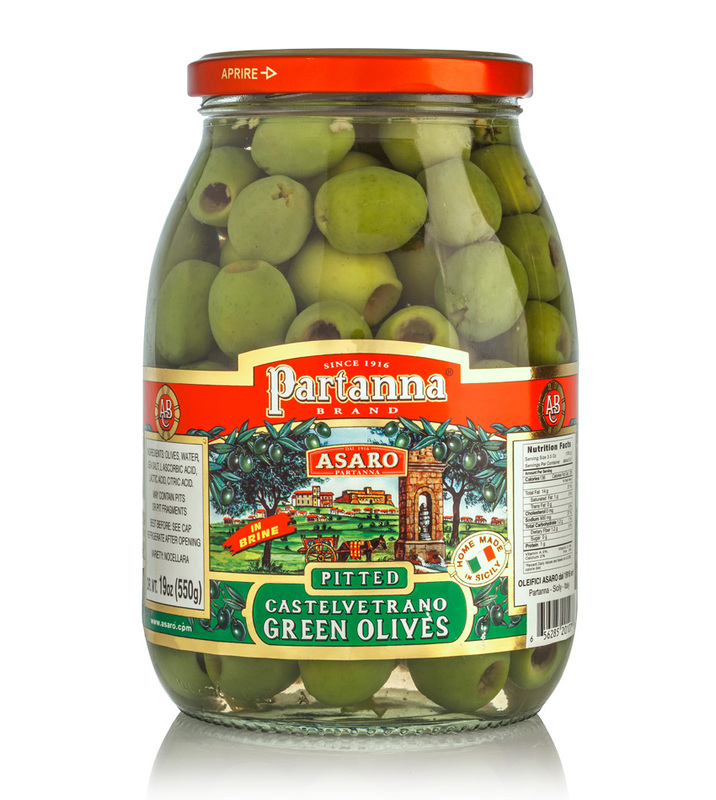 The olives are hand-picked fresh, processed daily in brine within 4 hours of being picked and preserved with natural sea salt from Trapani. They have a distinctive bright green color, and a meaty, buttery flesh. Available in both whole and pitted.